Imagine this line sung in the style of Celine Dion’s “My Heart Will Go On,” off-key but with the same amount of confidence that Dion’s golden vocals boast. That’s how Miami Gardens, Fla., Mayor Oliver Gilbert started our interview. Clearly, I was in for a treat, or at least one of the most entertaining conversations I’ve ever had, because Miami Gardens’ mayor is a character. But he’s also all about making sure he represents his city. 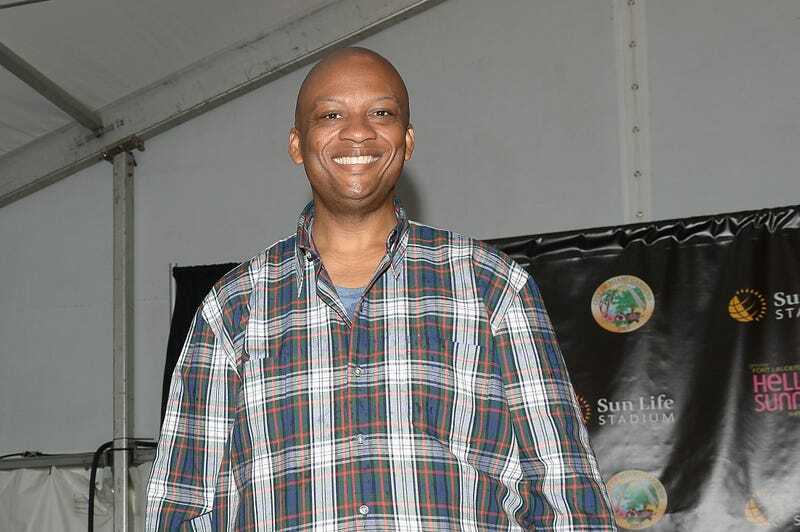 Gilbert serves as the president of the Dade League of Cities, he’s on the board of the National League of Cities, he’s on the advisory board of the U.S. Conference of Mayors and he’s the incoming president of the African-American Mayors Association. He’s proud to be the voice that represents the 113,000 people who live in his city. “I’m a kid who grew up there who has the privilege of being the mayor of his hometown,” Gilbert said, referencing his loyalty to home. Many people know Miami proper, especially South Beach, but there’s more to Miami than tanned skin and toned physiques. There’s plenty of culture. In fact, the mayor wears yet another hat: He’s the executive producer of Jazz in the Gardens, a premier event featuring shows from a few of your favorite artists: Anita Baker, Chaka Khan, Fantasia, Joe, Smokey Robinson and more. This event marks 12 years of culture and art through many genres, including soul, jazz and R&B. It’s no wonder that an event like this is held in a city like Miami Gardens. This city is the largest black city in Florida and one of the largest black cities in the country. Mayor Gilbert’s goal is to build places where people can live, work and play. In addition to the Jazz in the Gardens show, there are many other reasons why you should consider visiting one of the the blackest cities in the country. The Root: What’s the importance of being the mayor of a black-run city? Oliver Gilbert: Hope built this city. Hope is undefeated. It’s worth noting that we’re not just exceptional as a black city, we’re exceptional as any city. We’ve doubled the number of people who are opening businesses in the city every year that I’ve been mayor. There are stereotypes and preconceived notions that you can’t do it right. We’ve increased our bond rating, increased our reserves. We dedicated $60 million to transforming public space so that kids can learn science, technology, engineering, mathematics, culinary arts, recording studios and television production. Essentially, what government is is our agreement with each other that we’re going to live in a certain place, in a certain way. What our laws and what our budget should reflect are what our values are. So our values are making it better for our kids, make creating a better place for them. Enlarging their imagination, empowering them to dream bigger dreams and go further. TR: What makes you a unique mayor? OG: I have the best city in the country because I know who we were, who we are and who we can be. People talk about police officers—I’m going to take young kids from this community and put them in police academy. I’m going to show you what community policing looks like. They said it was impossible. Now we’re on our fourth plan. So, look, when they say it can’t be done, what I say is “OK” and I go to work. I believe that anything’s possible. That’s what history’s shown me. Anything is possible if you’re willing to work. TR: Tell me more about Jazz in the Gardens. OG: It was literally a parking lot. We changed a parking lot into something extraordinary, but that’s because we’re dedicated to it. We show that same dedication to our kids and to our government services. We understand that the city is one thing, a community is something else. So, I’m the mayor of a city, but I’m helping to build a community. We have a lot of entertainment, but what’s going on on the stage is just a little bit of it. What’s going on in that audience is people connecting; it’s the creation of a feeling that you will remember that will bring you back to my hometown, Miami Gardens. TR: What can you say about people who perceive Miami in a negative way? OG: The bad headline isn’t actually the story. You might have something violent that happened that’s the headline, but the story are the kids that are winning chess championships, the coding classes that are going on, the overemphasis on arts, the kids from Moonlight. The story is the fact that last year, we had Flo-Rida and Rick Ross, who are both from Miami Gardens as No. 1-No. 2 in sales in the world. That’s the story! TR: As a black public official, what are your words of encouragement to those who have no hope in light of this administration? OG: I don’t care about a president who is on Twitter. We survived more than that. I know what we have done, so I know what we can do. This is for that student and every other person who looks at the news and is pessimistic about our future. And inheritance of hope is an indelible part of the American evolution. Because without hope, independence remains a colony. Slaves remain in servitude. The franchise is never female. Civil rights are always criminal. Education is never public. And labor happens without reward, without hope. And the White House is forever a White House. That hope still lives in us. It is not lost to hate or division or fear or [fearmongers]. It is forever the dawn. I believe that. That belief is not born from a naive belief in the internal, it rises from what history was and what we are. I’m looking at what hope has done as an indicator of what hope can do. Hope has changed the world. So hope can change the world. Hope is forever. We should all remain vigilant. TR: And why should people come to Jazz in the Gardens? OG: We want to bring you to Miami Gardens. We’re going to keep your attention with who we are. I believe in my residents. I believe in my city. I believe in this event. We just need a shot. So put us in coach! The Root is an official sponsor of Jazz in the Gardens, so get your tickets now!